Motivated Seller! Move in ready and priced to sell!!! 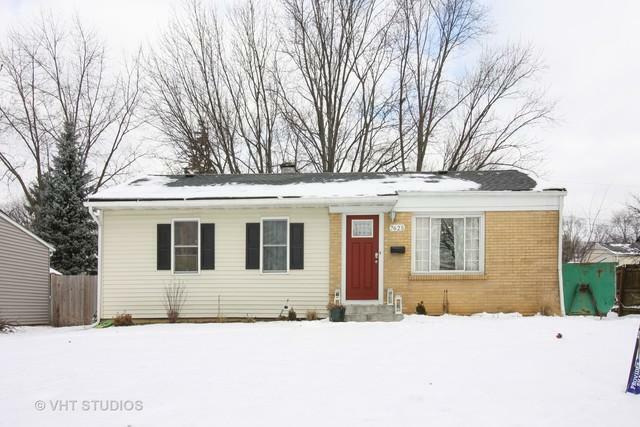 Wonderful ranch home with full finished basement. Home boasts highly sought after finishes. Gorgeous kitchen has Espresso cabinets, stainless steel appliances, granite counter tops, and stylish back splash. Bonus room on back of kitchen is perfect for entertaining! Approximately 1800 sq feet of living space. 3 above grade bedrooms and 2 below grade, you could use one as an office. 2 full bathrooms one upstairs and one downstairs. Laundry room in basement is generously sized. Front yard landscaping was just completed last year. 2 car detached garage. Seller is looking into new energy saving furnace and a/c for 2019, will complete project or offer closing cost credit for this upgrade (approx 3-5K, bids being evaluated now)! This update would make all systems/appliances new within the last 5 years!